So, you're working on the plan for your new retail store. You're a start-up, so you have many difficult questions to answer. One of the pressing issues is how much should you spend on marketing your retail business? First things first. You'll need a well thought out business plan. Evaluating startup costs can be difficult for new retailers. There can be a lot of stress and tension when creating the plan, especially when you have to consider what you'll be spending on marketing. But the bottom line is, many of the figures for a business plan are estimates. And you can never be too conservative. And don't forget. Aside from being a great starting point to help guide you through the process of starting your business, you shouldn't overlook the business plan. You'll need it to help you get investors in or if you need a loan from the onset. Each retailer's marketing strategy will greatly depend on which market segments they have chosen including target market, location, media strategy, and other factors. These will all help determine your marketing costs. Next, you'll need to project a little. To estimate marketing expenses, start with how much you'll need your store to generate in retail sales. For this, don't consider how much you want to sell, rather what you have to sell to stay in business. In the first year of my retail stores, we always published two numbers for the sales staff each day. The first one was our "cash flow" number and the second was our sales goal. Every employee knew if we didn't at least hit the cash flow number, the store could not pay its bills — including employee salaries! This technique really rallied the troops, but it also gave them a sense of trust in the store. They knew jobs were secure if they hit the cash flow number, but they also knew their ability to keep that job was related to hitting the sales goal. In other words, we needed four salespeople, but they may not be one of the four we needed if you get my drift. Once you've figured out your sales figures, you can apply a percentage of that amount for marketing and advertising. As you begin your business and measure the productivity and results of your efforts, you can play around with that amount. The range for marketing is typically based on your retail segment — basically, what you're selling. For some retailers, it requires a very modest marketing budget. For others, it takes much more for people to notice you. A few things you should ask yourself: How crowded is your segment in town? What are the costs of advertising in your local paper? Generally speaking, a successful retail store will spend between 3% and 5% of sales on marketing. Spend more and you'll be "dependent" on advertising. That means customers will only respond when they see an ad. Spend less and your traffic will suffer because you may not be present enough. There should be a happy medium. Let's say your business needs to generate $100,000 each month in sales to make a profit. If you choose to apply 3% of your monthly sales to marketing, then you have $3,000 for marketing. As you build your marketing strategy, you'll learn where to best spend that money for the greatest coverage. Don't put all of your startup marketing dollars in one place. Too many retail startups make the mistake of putting all of their money into the newspaper or on a billboard. When you first open, you don't know what medium a customer will respond too. You have to test and explore, and try different venues and mediums to see what is the best ROI (return on investment) for your store. Also, consider there are less expensive ways to market your store than advertising. Cross promotions with other retailers or businesses and events in the store all drive traffic but cost much less than a newspaper ad. You should also think outside the box. There is no harm in being creative. In one of our shoe stores, we dealt with diabetic feet. So, we made a pad that looked like a prescription pad and placed them in podiatrists' offices. The doctors could write a referral to our store on the pad and the customer thought it was the same as getting an antibiotic. They followed the instructions and came to our store, thereby increasing traffic in our store. The best way to get yourself out there is by designing a webpage and going through social media. Create a page for your business on sites like Facebook, Instagram, and Twitter, as well as LinkedIn. Promoting your business like this can come at no cost unless you count the time invested in creating and maintaining a profile. Sites like Facebook also have services you can pay to help promote your business. For example, you can pay to schedule a post about your official launch so it reaches your audience at just the right time. You can also pay to have posts promoted on related pages and sites, or have them promoted on general newsfeeds and timelines. Twitter also offers the same service — giving you the option to promote your tweets so a wide range of people can see your post and, therefore, your business. Professional services are readily available, especially to small businesses and start-ups. These companies will handle and monitor your social media presence and/or other marketing tools. Be sure to research these to see if they're a good fit for you. 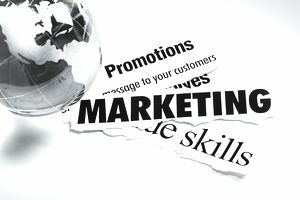 Once you get enough traffic from your marketing strategies, you may begin to see a nice boost to your sales and, effectively, your bottom line.